Nursing home caregivers, family, and friends often exploit the elderly by taking money, credit cards, personal possessions, and property without consent. When nursing home residents are victims of financial exploitation, they can lose their financial security and are placed at risk of involuntary discharge from the facility for nonpayment. Although financial exploitation can be committed by relatives, friends, and neighbors, nursing home residents are particularly vulnerable to abuse by caregivers. Many elderly residents suffer from diseases, illnesses, and mental disorders that make them easy targets. They are often taking multiple medications that can make them groggy and confused. Residents with cognitive dysfunctions like dementia or Alzheimer’s are often victimized because they are unaware of what’s going on around them. Residents in nursing homes are often confined to a wheelchair or bed, suffering from physical and mental disabilities, and isolated from family and other residents. Their main contact each day is their caregiver who they rely on and trust. Financial exploitation commonly occurs in relationships where the vulnerable person has placed his/her trust and confidence in another person. Nursing home residents who fall victim to financial exploitation lose their financial security. They often suffer anxiety or depression, loss of independence, deterioration of physical and mental health, and a shortened lifespan. Many victims continue to rely on their caretakers who abused them because they are unaware of the financial abuse or they have no other means of help with daily care. Financial abuse may occur with or without distinct warning signs. 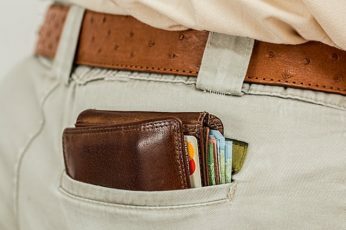 A resident’s family and friends should watch out for signs of financial exploitation by monitoring bank accounts, credit card purchases, cash withdrawals, and personal possessions.